This is truly one of the most awe-inspiring drawings that I have seen pertaining to the 9/11 disaster. It captures the emotion of the tragedy, and the pride and determination of the US Armed Forces and our other heroes in uniform. 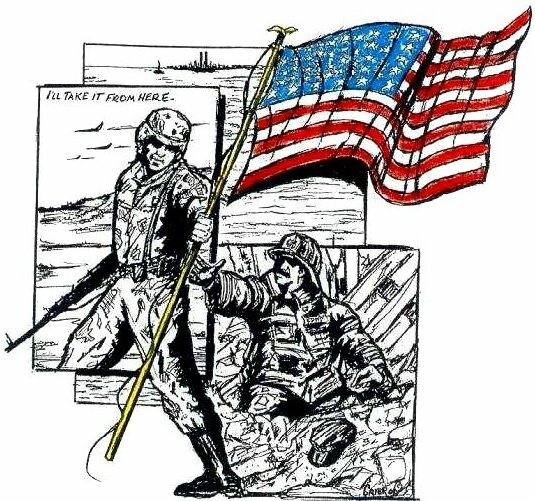 This drawing literally embodies what America stands for.